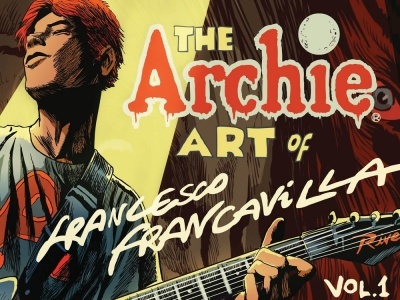 Eisner Award winner Jeff Smith has created a children’s graphic novel for Toon Books, Francoise Mouly and Art Spiegelman’s line of kids books for emerging readers (see “Mouly and Spiegelman Launch Kids GN Line”). 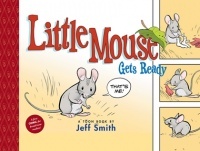 Little Mouse, which will street September 7th, tells the story of the title character’s simple pleasures in getting ready to go to the barn. He has to master all the intricacies of getting dressed, from snaps and buttons to Velcro and tail holes. Little Mouse will be a 32-page, 9” x 6” hardcover, and will retail for $12.95. Smith’s all ages title Bone has sold over a million copies in graphic novel form for Scholastic. More recently, he’s been working on the dark science fiction series, RASL. Toon Books are distributed to the book trade by Diamond Book Distributors, and to the comic trade through Diamond Comic Distributors.